Our lab equips with state of the art laptop which empowers HTMS students to breeze through demanding school assignments, project and various endeavor. When not in use, all are stored in the laptop cart stationed at the end of the lab. Our indoor lab have the latest cycling equipment. 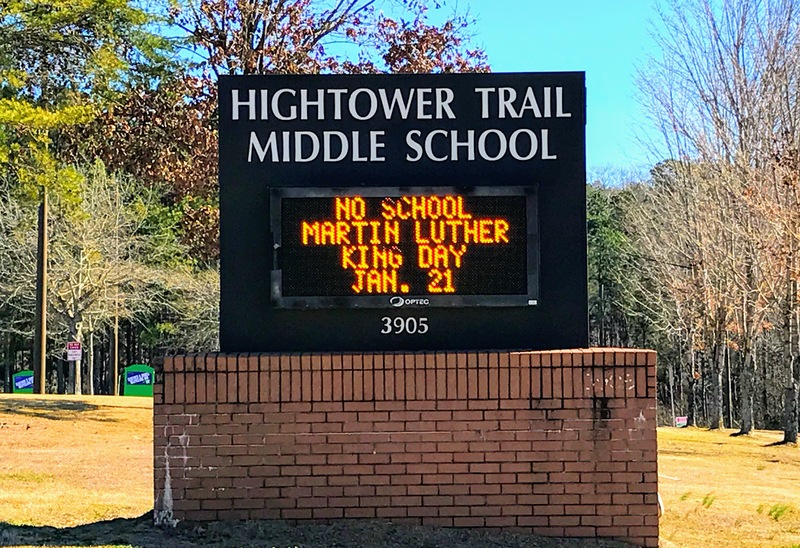 Large digital screen provides HTMS students with real life environment. 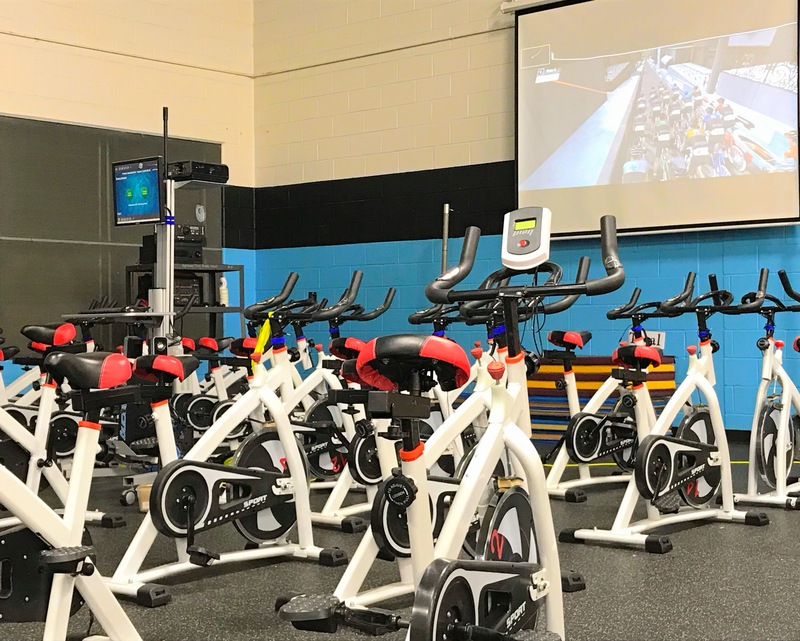 The bikes are part of the school’s new spin lab — a place where students come during their P.E. time and learn how to exercise and get their heart rates up on stationary bicycles, just like in a spin class. We have high quality LED displays that provides important information to our parents, students, teachers, staffs, and community. 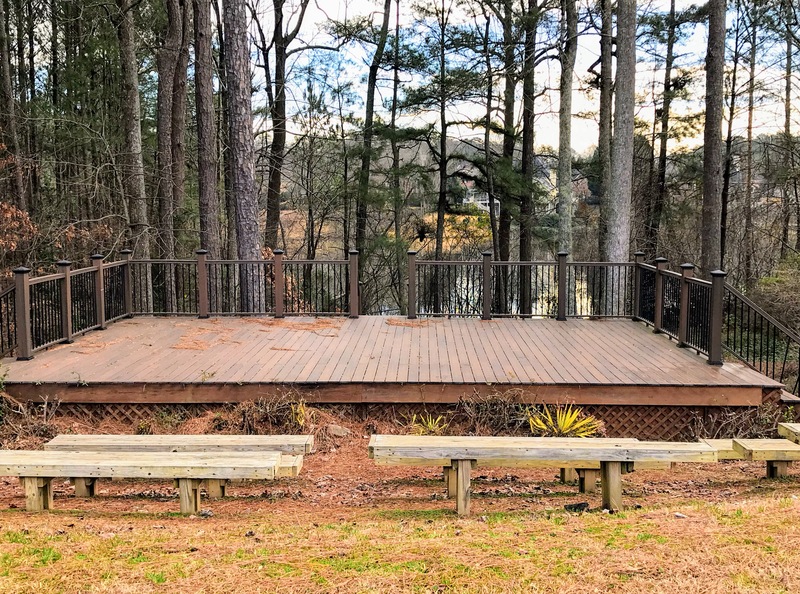 Nothing is better than relaxing while learning in a great outdoor theatre atmosphere in a warm spring season or a cool fall season. Our unique setting of outdoor classroom breaks away the walls and let HTMS student experience learning in the open air environment. 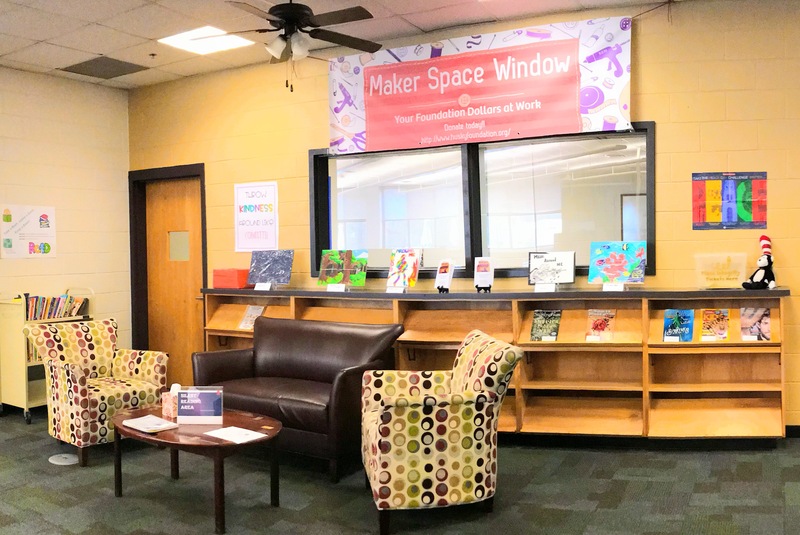 Our maker space is a place in which students can gather and share ideas, knowledge and work on project. With a view-able large window provides even more safety for our students. 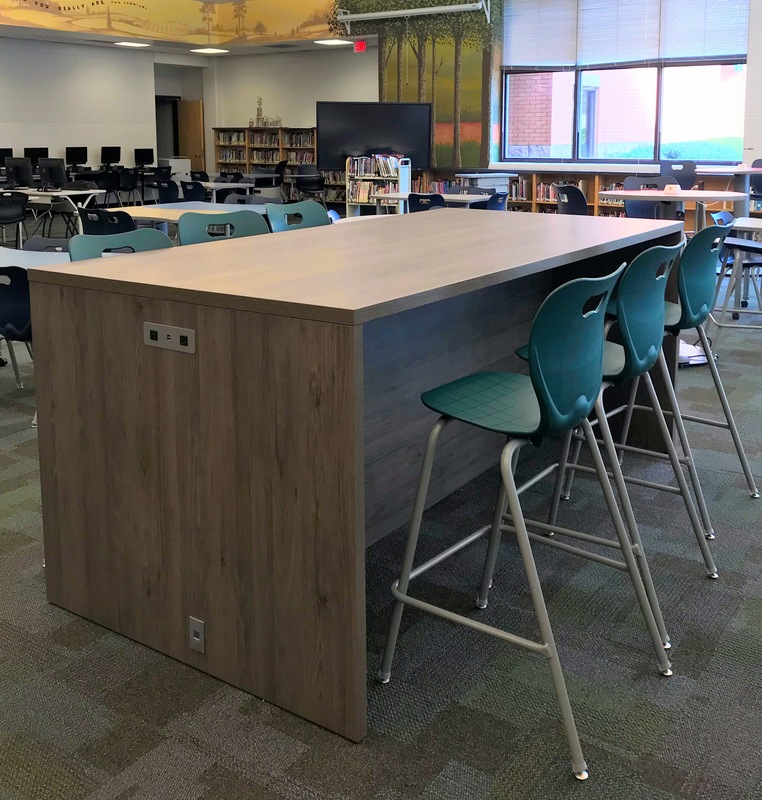 The goal for the updates to the Learning Commons was to create a flexible instructional area that supports collaborative learning and mobile technology. 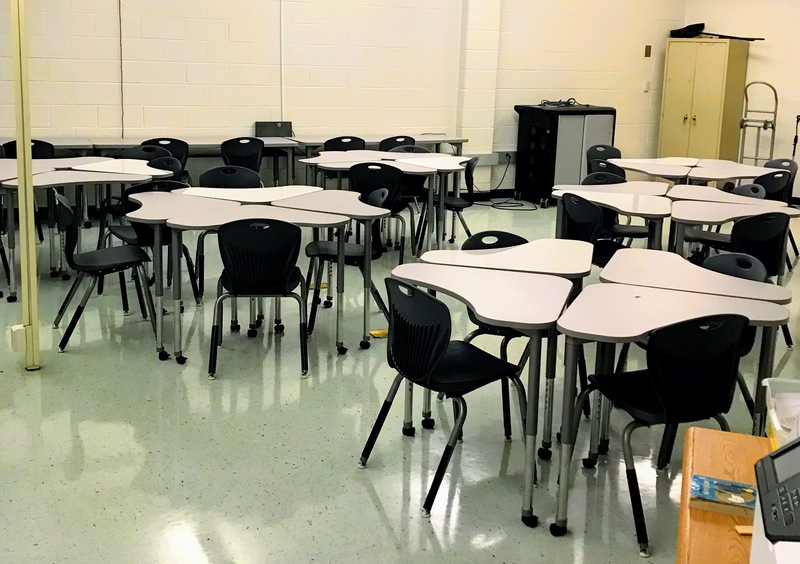 The new furniture will aid in easy transitions between whole and small-group instruction. In addtion, the updates included all new wiring to support the laptop bars/station are some of the updates that are not visible in pictures. The natural color pallet dining room set magnificently sets a welcoming tone in our guidance office space. Provides an inviting atmosphere to any visitor. To ensure a seamless assistance from all counselors to their visitor, we wired the entire office to provide all essential needs.